It has been a full quarter since undertaking my official 2008 Wine Challenge. Three months of drinking. Nine more to go. AND, YES IT HAS BEEN HARD. Now that April is upon us, it’s time to share some of the plethora of wine knowledge I’ve acquired since the first of the year. In the past three months, I have sampled a grand total of 34 wines. WOW. 21 rated A or B. A or B = Gooood. 13 rated C or lower. C or lower means pour it straight down the crapper and then hit yourself w/the bottle for wasting $10 on plonk. Pale yellow color with a subtle aroma. Well balanced, with low acidity and very little aftertaste. Smooth and understated, with hints of citrus, peach and apple. 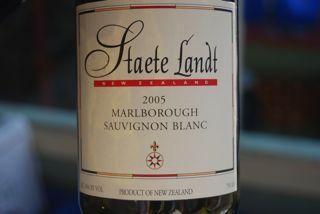 Makes a great choice for people who don’t normally care for whites like Chardonnay because of their intensity. Light, crisp and super easy-drinking. Dark cherry color, bouquet hints of cherry, raspberry and plum. Well balanced. Good acidity, light clean finish with a subtle aftertaste of oak and ripe berries. All-in-all, a very lovely, highly drinkable wine. AND CHEAP. Deep plum color with faint fruity aroma. Subtle taste; berry, fruit and wood notes. Well-balanced, with very low acidity & very little aftertaste. Tastes full in mouth, goes down verrry smooth. Deep garnet red color. Lovely ripe cherry/berry flavor. VERY CHERRY. Very well balanced, low acidity, smooth finish. Medium golden color with a NOSE Forward bouquet. Lovely fruit flavors, hints of peach and melon. 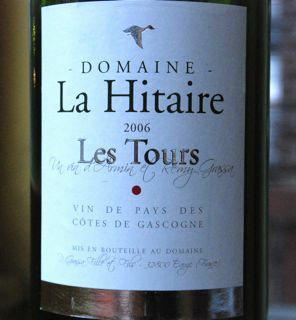 A well-balanced wine with very little acidity and NO aftertaste. YUM!!! Deep plum color with a dry, lovely flavor. Hints of ripe berries, plum. DELICIOUS! Well balanced. Smooth, round, w/ perfect finish. Little to no acidity. No aftertaste. Wonderful wine – perfect with food or without. Dark garnet color with bouquet of ripe fruit. Deep cherry flavor. Good body, well balanced. Sweet & delicious, but not cloying. MMM MMM GOOD! BUT STRONG, so watch out. As a side note: This wine gave me strange, vivid dreams. Beautifully clear red with pronounced cherry aroma. 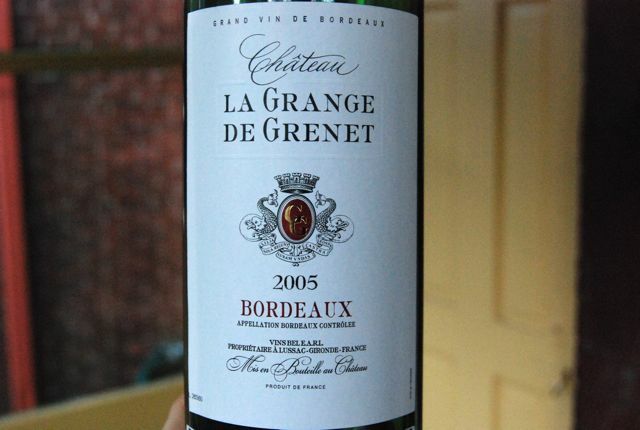 VERY pleasant taste of ripe red berries and cherries. Smooth, silky finish. Easy drinking w/ low acidity. Appealingly light. Pale golden color and Strong aroma of fruit. TASTES absolutely delicious! INTENSE FRUIT FLAVORS, Hints of citrus (grapefruit) and peach. One of the best wines yet. Deep plum color, bouquet of ripe red fruit. Smooth and appealingly dry, with a soft easy finish. No pronounced fruit flavor or sweetness. Clean, very easy-drinking wine with little aftertaste or acidity. 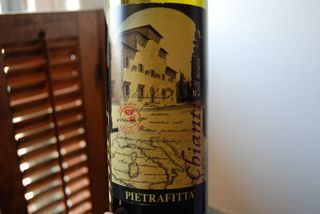 A lovely wine from an exceptionally lovely village in Tuscany. And at $10 or LESS WHAT ARE YOU WAITING FOR?? Now that you have been educated in the art of cheap fine wine purchase, please spread the word to all those vineyards out there – worldwide – so that they may begin sending me some of their products to sample. I see people do this all the time on Book Review Blogs – asking for new titles, etc. And I am here to tell you, if you Send It, I Will Drink It. I will not be thwarted! After all, I could stop drinking, BUT I’M NO QUITTER. So if you have a particular vintage or cellar you would like me to critique, send some my way. My palate and my liver will do their very BEST. I promise. press on dear dishy–the end is in sight! now i’ll have a buying guide when i need to bring a bottle of wine to a friend’s house. thanks! I don’t drink but I like the look of the bottle of Valley of the Moon. :o) I WOULD buy something if the packaging was attractive…. even if it was of no use to me. My mum used to da that all the time. If it had a pretty box it was in her shopping basket. She was a marketers dream! My hubby is a wino… :o) I think he drinks my share! I don’t really like wine except this ice wine I had at Disney’s Epcot International Food & Wine Festival. Other than that, hit me with an Amaretto Sour please! I don’t know how you could do it! Wine turns my face purple and gives me a headache!! I have some friends pursuing the wine tasting thing every weekend and then some. I’ll have to pass this list on to them. Do I have to give you credit or can I just let them think I am clever? Thanks Curly me love – I am of course doing it ALL FOR YOU! The buzz, well that’s just icing. Daff: YOU ARE NOT ALONE. Many marketers, particularly wine marketers, bank on the fact that people will fall for a cute bottle. 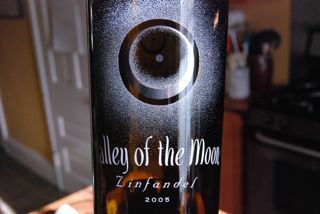 Fortunately Valley of the Moon also makes a terrific wine to put INSIDE their cool bottles. But I have tried way too many crap wines in cute bottles at this point to be lured in. I am looking for the ugliest bottles hoping the wine inside is actually GOOOOOOD. Hayden, you and I will get together one day to toast your lovely new abode. I will bring the champagne! I LOVE IT TOO. Always makes me happy. Have you tried Yellow Tail’s sparkling white? It is surprisingly good and very CHEAP. Highly recommended! Laura, you poor thing! We have had some great beer together though. I dated a guy in college who had the very same reaction, but to any alcohol. He told me he was allergic to it all. TOO SAD.